Currently viewing the tag: "cannabis-based drugs"
WASHINGTON (Reuters) – The United States’ top doctor said that medical marijuana can help some patients in comments on Wednesday that may boost pressure on the Justice Department to redesignate the drug under federal law. ELMIRA, ORE. — The issue of medical marijuana continues to make headlines in Oregon as the House approved a bill allowing cities to “opt out” of marijuana dispensaries. A recent study reveals that cannabis taken orally in the form of what is called ‘hemp oil’ can be an effective treatment for Leukemia and possibly other cancers. Medical marijuana is now legal in 18 states, but it’s clear we’ve discovered a fraction of its potential for health. The Dalai Lama weighed in on Mexico’s marijuana legalization debate on Tuesday, telling an audience that he backs the drug’s use for medicinal purposes. 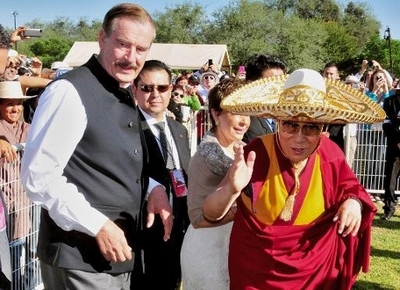 The Tibetan spiritual leader, speaking at an event hosted by former Mexican presidentVicente Fox, said that “the exception” for smoking marijuana would be if it has pharmaceutical virtues. A new study shows Δ9-Tetrahydrocannabinol is protective through PPARγ dependent mitochondrial biogenesis in a cell culture model of Parkinson’s Disease (PD). Depending on one’s experience within the realm of cannabis consumption, some may never have heard of vaporizing. Despite a law legalizing medical marijuana research in state universities on Friday, researchers say they doubt they’ll be able to conduct studies anytime soon.